1. Textured Cross-back Skater ($20.25) - I loved this dress so much that I bought another one in yellow. The cross-back's a bit different, but it's pretty much the same design. CR dresses run small so size up. I usually wear XS but S fits me perfectly here. 2. 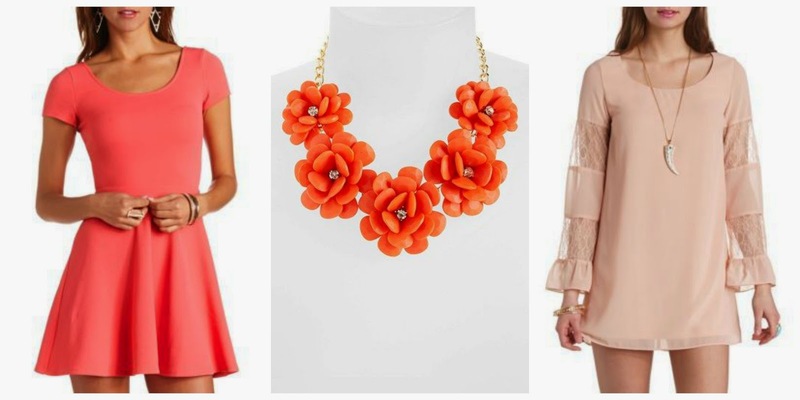 Topshop Coral Necklace ($28) - I'm SO obsessed with this necklace. The flowers are so cute and springy! I bought this piece at Nordstrom - it's my first official Topshop buy. Anywho, if you're lookin' to shop there anytime soon, check out these Nordstrom coupon codes beforehand for the best deal possible. 3. Lace Bell Sleeve Chiffon Shift ($21.75) - Super cute dress. I love the lacy sleeves! If you're looking for a chic shift dress, you're welcome in advance. 4. 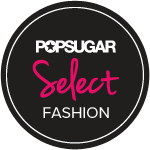 Raglan Lace Skater ($21.75) - Another cute dress option. SUCH a pretty color - I love anything mint! It's a little on the short side so I might actually have to skip heels for once. Oh the agony! 5. Box-Pleated High-Waisted Skater ($16.20) - I'm not crazy about this skirt. The material isn't great, and the design isn't that flattering. I may have to return this ::sigh:: We'll see! 6. Cut-out Tribal Print Hi-lo Dress ($20.25) - LOVE this dress. As you can see, I'm a huge fan of cutouts and prints! Tribal anything is totally "in" this season so if you want to be "trendy" - whatever that means - check this dress out! OH, and the back has a cut-out as well. 7. Textured Cross-back Skater ($20.25) - This is the skater I was talking about! Which one do you guys like more? The yellow or coral picture above? 8. Tulip Peplum Mini ($15.30) - Super cute skirt. It's tight though, so if you're not a fan of body-con, this piece is not for you. Anywho, I hope you guys enjoyed my haul post. I didn't want to bore ya'll with a super long review so I kept it short and sweet. If you have any questions, feel free to tweet me, FB me, whatever, you get the point! FYI: if you'd like to purchase any of these items, surf Coupons.com for Charlotte Russe coupon codes first! There are a couple of cool promotions going on right now so make sure to take advantage of them. Oh, and the prices above are what I personally paid - they had a baller dress promotion going on at the time. I think they're currently more expensive. Just givin' you guys a heads up! Alrighty guys, I gotta be real with ya'll. I did a LOT of damage these last few weeks. After-Christmas sales are the BEST, and I definitely took advantage of all the incredible deals online and in-stores. I stocked up on a lot of wardrobe must-haves, but I have no regrets. I got a lot of amazing pieces for crazy low prices. Anywho, for today's post I'll be reviewing items I got from Banana Republic. I actually have to return 2 of the 4 things because I bought them online and there were issues with fittings. 1. Colorblock Hacking Jacket (Originally $150, bought for $49.99) - I'm really happy with this purchase. Although I'm a big fan of Banana Republic blazers, I'd never buy one for its full retail price. WAY too expensive. That's why I wait until big blowout sales like this ::grins:: Anywho, I'm excited to style this with a chambray top and skinny jeans. 2. Dot Print Bow Skirt (Originally $59.99, bought for $41.99) - I'm super bummed about this piece because it's SO CUTE but it just doesn't fit right. I bought a size 0, but the waist was still too big. Bizarre. Returning this for sure. BOO! 3. 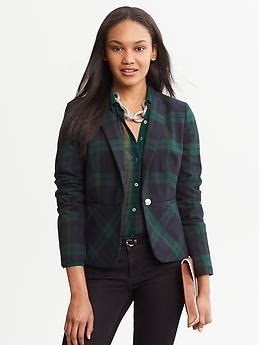 Plaid Blazer (Originally $150, bought for $59.99) - I'm obsessed with this plaid blazer. It's so cute, and it fits me like a glove. A classic piece that I'll wear for YEARS to come! 4. Heritage Silk Safari Blouse (originally $59.99, bought for $30) - This top looked so sleek and sophisticated when I was shopping online, but when I tried it on I looked like a scrubby janitor with the ugliest uniform EVER. To be fair, I'm pretty sure it just looked bad on me. The color seriously clashed with my skin tone. Definitely returning this, haha. I bought everything when BR was giving customers an extra 50% off on all sale items. Unfortunately that promotion is over, but they're still giving ya'll an extra 30% off online and in-stores (use code BRGOOD30) until 1/6.